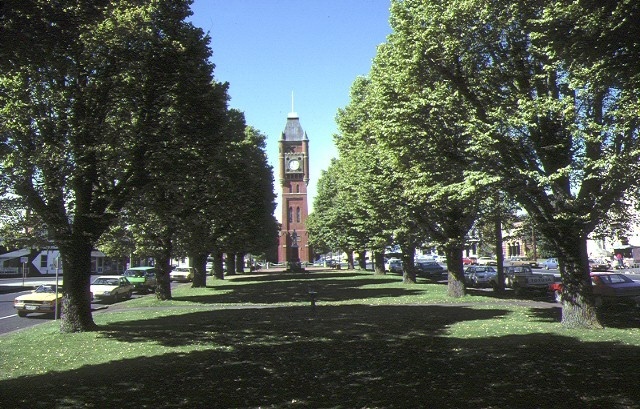 The Finlay Avenue of Elms, Manifold Clock Tower and Public Monument Precinct, Camperdown, forms a dramatic central landscape feature in the town. 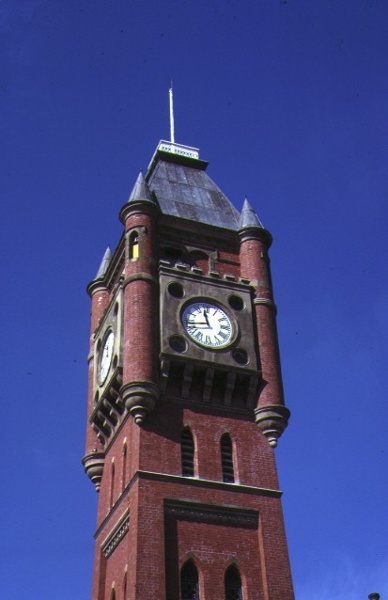 The 30 metre high, red brick clock tower of 1896-97 was built with a bequest from Thomas Manifold, of the wealthy pioneering family renowned for their local patronage. The Late Victorian Medieval Revival style tower, which incorporates eclectic French Gothic elements, is Camperdown architect Michael McCabe's most substantial work, while the clock itself is a fine example of an English Flat Bed Turret Clock circa 1890. The tower is strategically located in the centre of the Finlay Avenue of English elms (Ulmus procera, approximately 290 trees) which was originally planted in 1876 with the support of the Finlay pastoral family of Glenormiston. 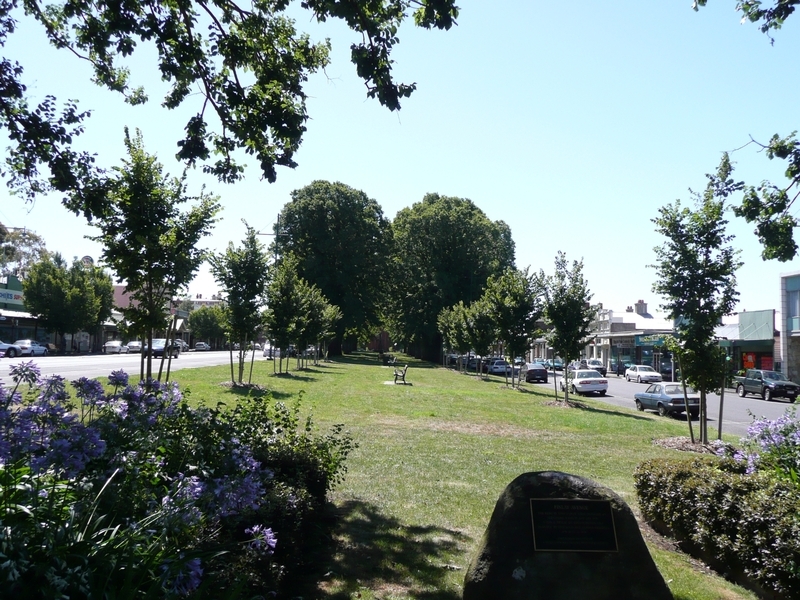 It was the first such public avenue of trees planted in Victoria, and is regarded as one of the most outstanding elm avenues in Australia. It extends along the main thoroughfare of the town, and is complemented by many significant public and commercial buildings. 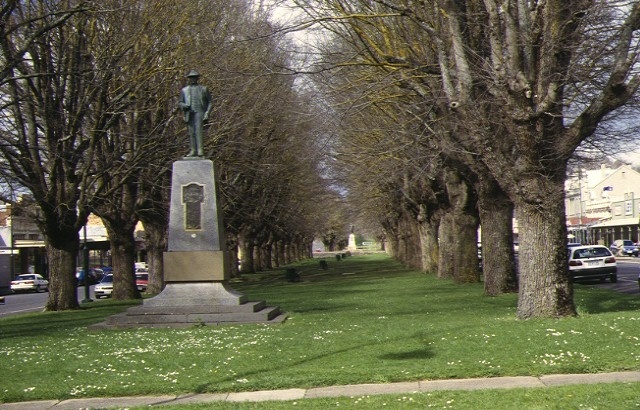 The avenue incorporates a fine collection of monuments and commemorative statues, including the Empire/Boer War Memorial (1902), Soldiers' Memorial (1929), JC Manifold Monument (1922), and Daniel Curdie Memorial (1934) which commemorates another local pioneering family. 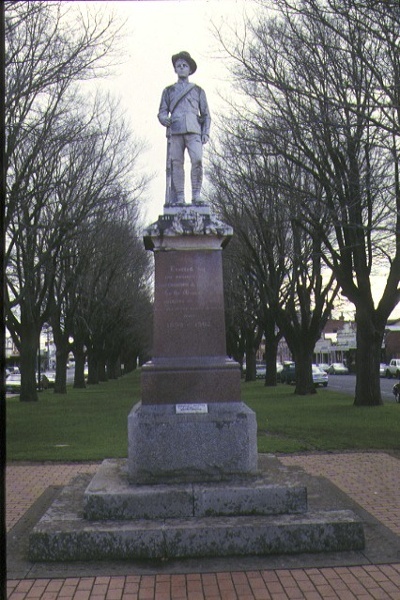 The Empire Memorial was one of the first Boer War memorials in Victoria, and was carved in the image of the first local soldier to die in that war. The JC Manifold monument commemorates a prominent public benefactor and politician, and its naturalistic execution by Sydney sculptor Nelson Illingworth was a break from academic traditions. 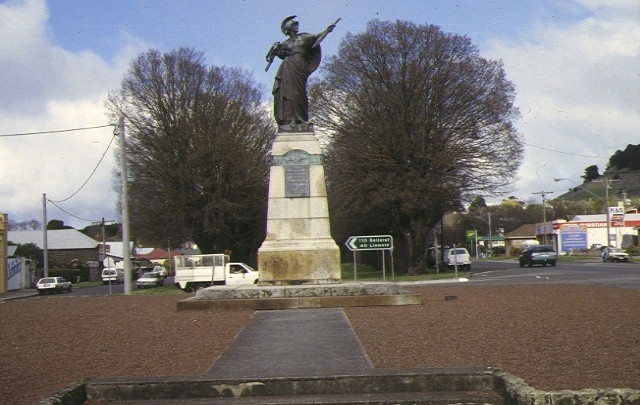 The 1929 Soldiers' Memorial is a distinguished and highly accomplished rendition of the 'Spirit of Empire' figure, by sculptor PR Montford. 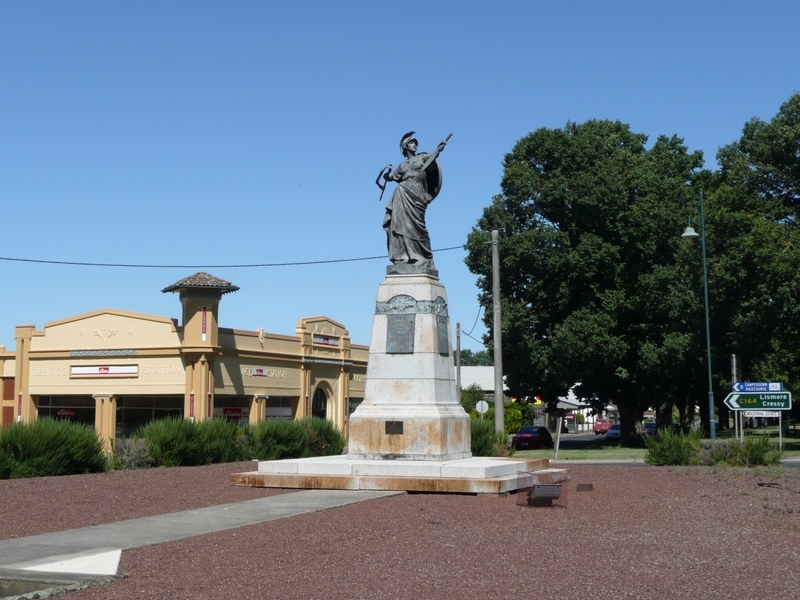 The Finlay Avenue of Elms, Manifold Clock Tower and Public Monument Precinct, Camperdown is historically, architecturally, socially and aesthetically important to the State of Victoria. 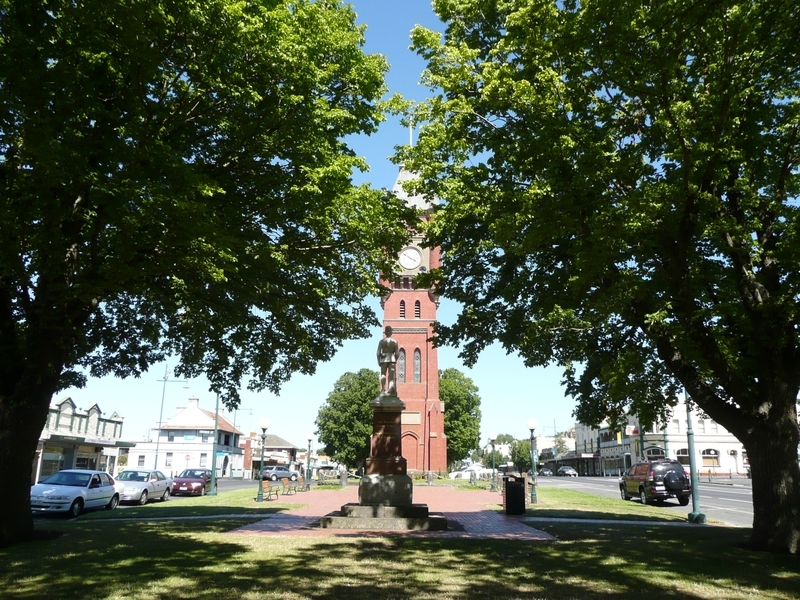 The Finlay Avenue of Elms, Manifold Clock Tower and Public Monument Precinct, Camperdown is historically, aesthetically and socially important as a celebrated and instantly recognisable landmark feature in Western Victoria. It also represents outstanding town planning practice. The Clock Tower is a State landmark, a permanent symbol of Manifold patronage in Camperdown, and a remarkable legacy of a pioneering family. 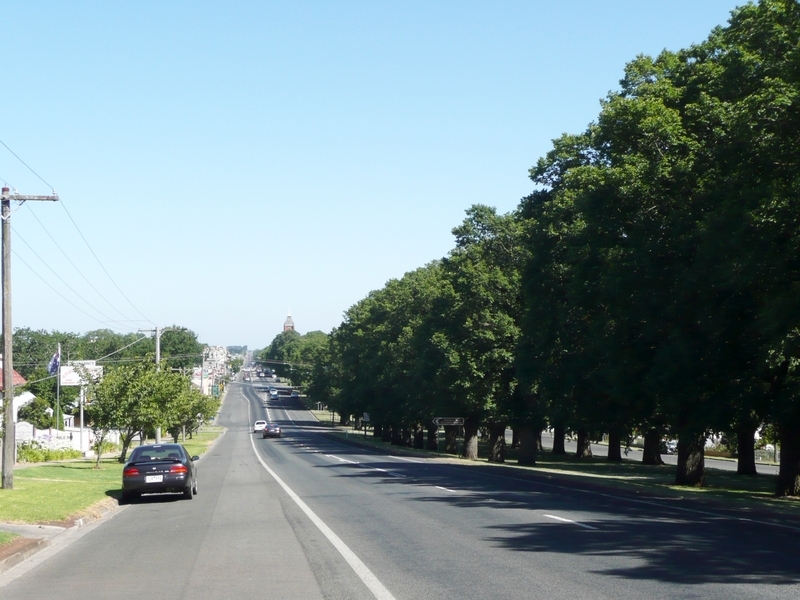 The Finlay Avenue of Elms is important as a rare and notable Australian landscape feature, and the earliest public avenue of trees in Victoria. It is also associated with an eminent Western District family. The Tower and Avenue Precinct form a dramatic and complementary setting for the public monuments and memorials, which are significant for the events and individuals they commemorate, as well as their prominent landmark qualities. 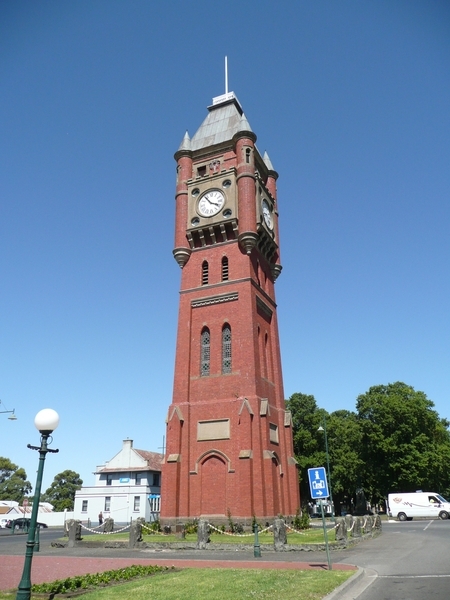 The Manifold Clock Tower is architecturally important as a rare example of a Late Victorian Medieval Revival style clock tower, which successfully incorporates eclectic French Gothic elements. 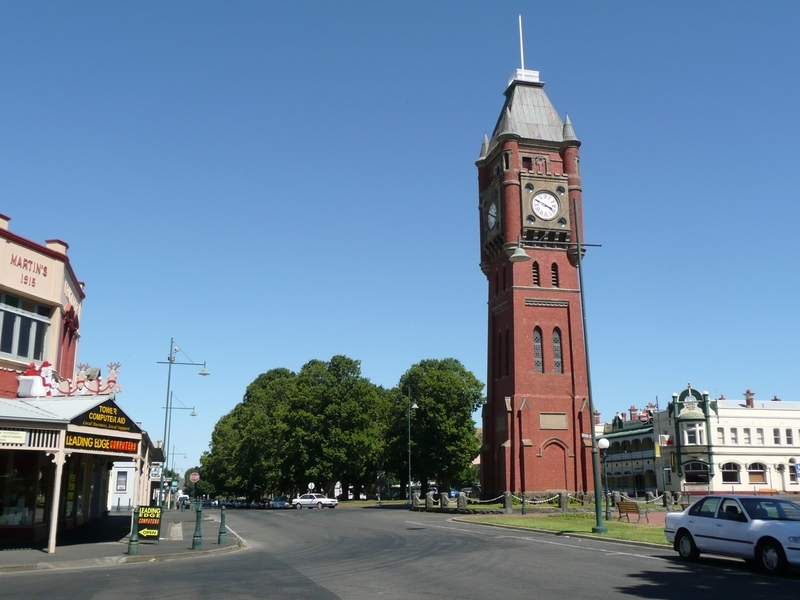 It is the most distinguished free-standing clock tower in the State and is unrivalled in rural Victoria for its dramatic streetscape qualities. The individual monuments are important for their artistic merit and strategic location and as contributory elements to the significance of the precinct. 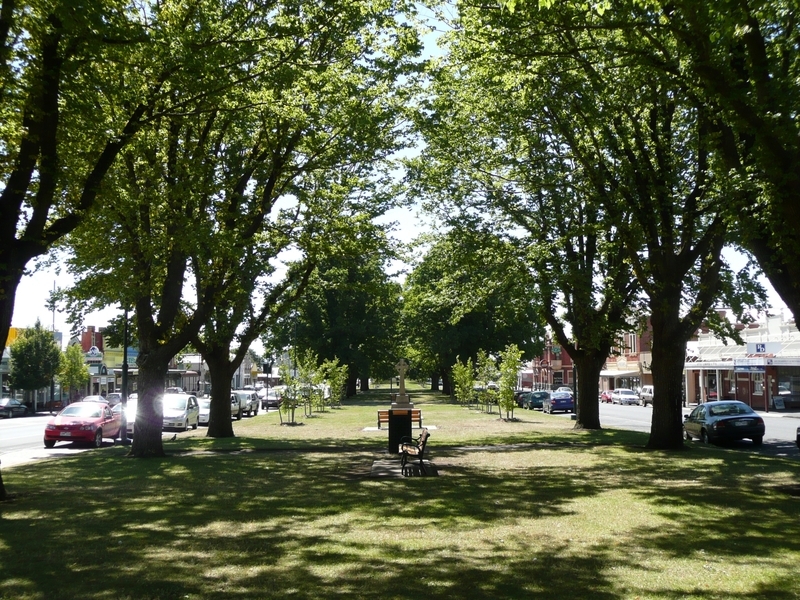 Finlay Avenue of Elms, Manifold Clock Tower and Public Monument Precinct Manifold Street (between Bowen Street and Hopkins Street), Camperdown Corangamite Shire Council. 1. 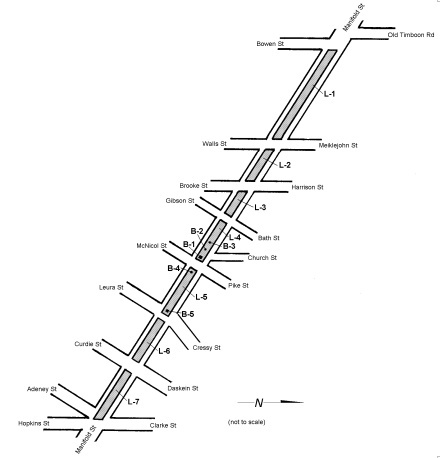 All of the land marked L-1 to L-7 on Diagram 600393 held by the Executive Director being all of the median strip of Manifold Street, Camperdown between Bowen Street and Hopkins Street. 2. All of the approximately 290 Ulmus procera (English elms) within the land marked L-1 to L-7 on Diagram 600393 held by the Executive Director. 3. If there is a conservation policy and plan approved by the Executive Direct or, all works shall be in accordance with it. * Repair, replacement or installation of water systems. * Repair, replacement or installation of seating and other outdoor furniture. * Maintenance of the clock mechanism and face. * Removal of paint from originally unpainted surfaces. * Installation, removal or replacement of floor coverings. new wiring is fully concealed. 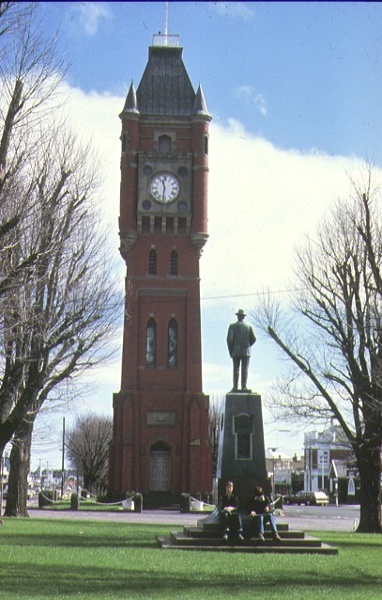 Peter Rodger was the builder of the Camperdown Clock Tower.